10.30am Eucharist with Blessing and distribution of crosses and the reading of the Passion. 2 -3pm Hour at the Cross. 6.30pm Evensong and Holy Communion. 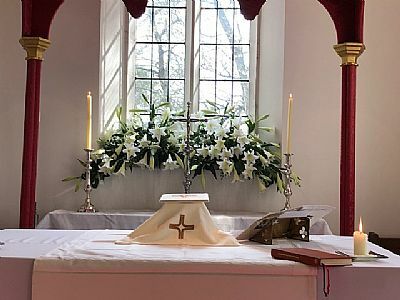 Easter Sunday 8am Holy Communion.